“Art” is an odious word. Hashtag: I’d rather not be spoon-fed. When you look at a painting/sculpture/installation, do you look up the artist’s intent on Wikipedia? Do you look up their background and what they’ve done in the past? Do you try to see it from their point of view? Or do you just look at it without reading about it; devoid of context? Do you view the piece of work just as it is? Ugh. I’m wincing right now. When I was a Fine Arts major and taking all my Fine Arts classes and living in my idealistic Fine Arts bubble, NOBODY in class ever said, “My art!” or “That’s artistic!” or “How creative!” Nobody. If anything, there was an influx of usage of the words “cool” and/or “interesting”, followed by a comment on the artist’s use of (insert obscure medium here) to portray (insert idea/theme/socio political issue here). 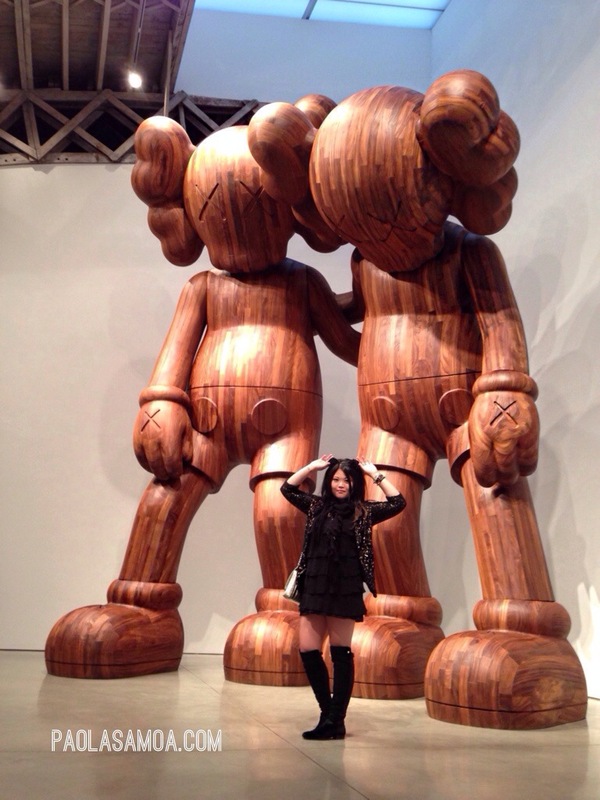 For instance, “Oh nice sculpture. It’s interesting how their use of old keys that have been collected from an abandoned nursing home to sculpt a spinal column kind of touches on the theme of growing old” or some crap like that. This will be followed by a number of nods and hushed tones of agreement until someone will eventually chime in about how the artist’s deliberate use of OLD keys and using them as is, rust and all, drives the point home. Meanwhile, whoever did the project probably didn’t even think twice about it and just stacked keys to form a spine to represent KEYS FORMING A SPINE. You see where I’m getting at? I’m pretty jaded when it comes to the whole premise. Usually, when I look at anything, I like to experience it firsthand without any context. Because if I’m viewing a painting, naturally, the oil and canvas is the medium with which the artist is conveying his or her message. If I have to look it up on Wikipedia, then obviously, either it went over my head or the artist missed the mark. Notice I used the word usually. When I view something not current (and by current, I mean, something that wasn’t done in this century), I’ll need to look it up. Because with time, a lot of things change (like context, for instance). 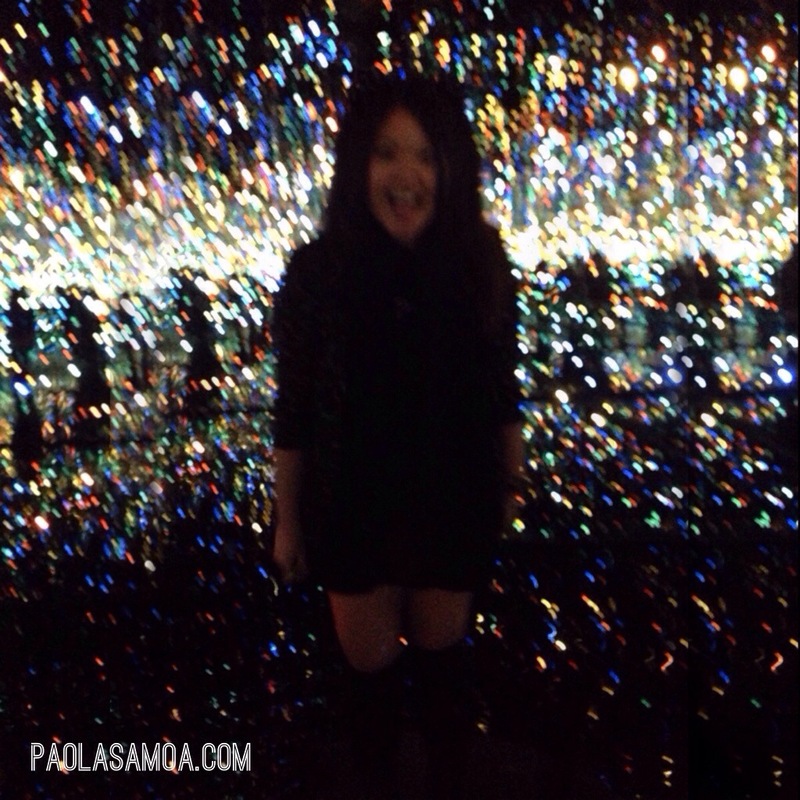 I went to see the Yayoi Kusama exhibit this past week at the David Zwirner gallery. 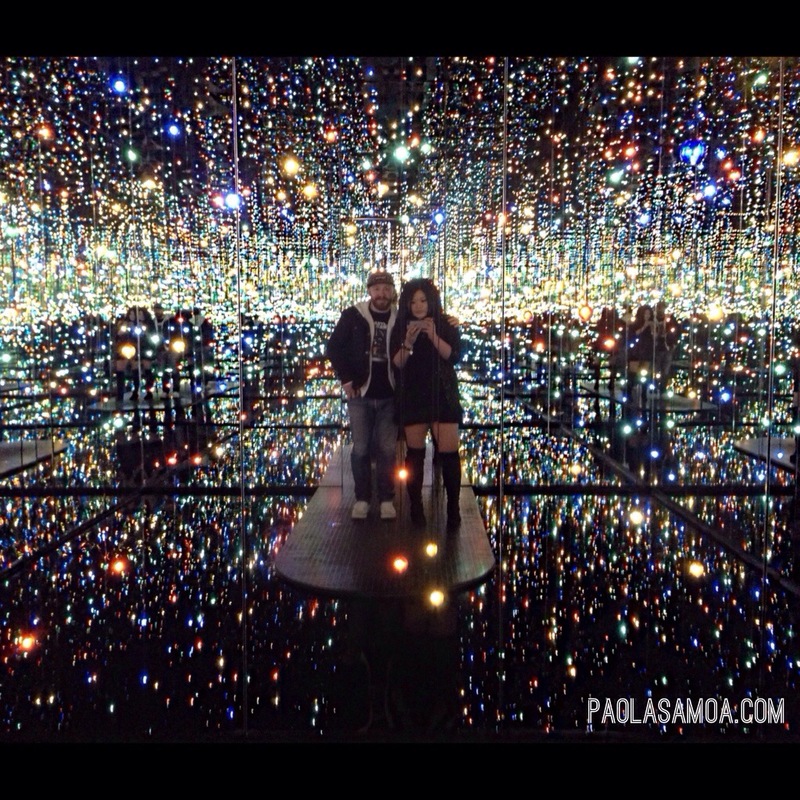 “The Souls of Millions of Light Years Away”, a black room filled with LED lights suspended from the ceiling, is the first infinity room I saw & it’s pictured below. 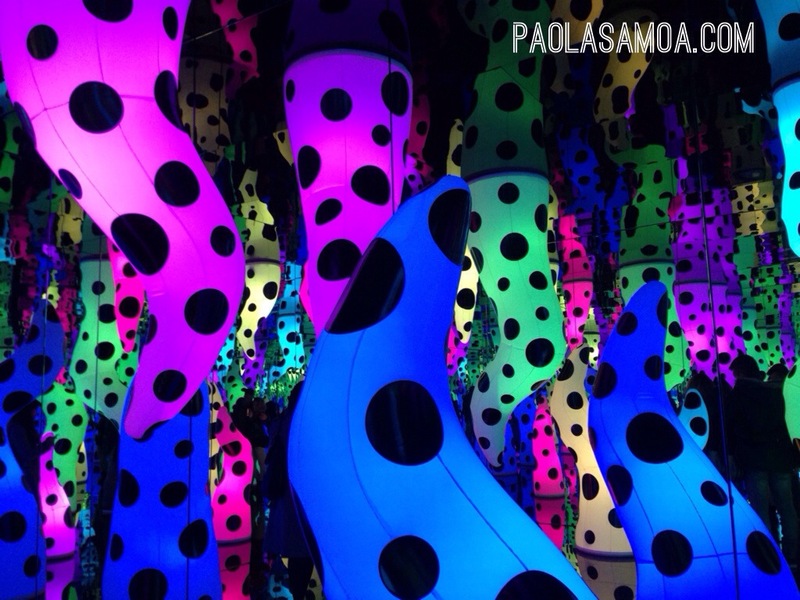 “Love is Calling”, one filled with dotted tentacles in changing colors, is the second. 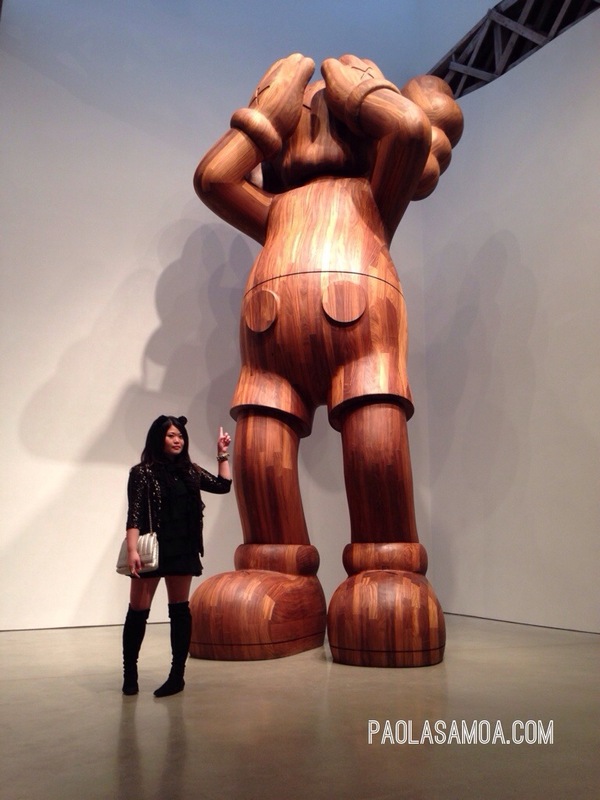 Afterwards, I skipped on over to the Mary Boone Gallery to see the Kaws exhibit. The three monumental COMPANION figures are pictured below as well. I’m sure you’ve seen photos of both exhibits floating all over social media. 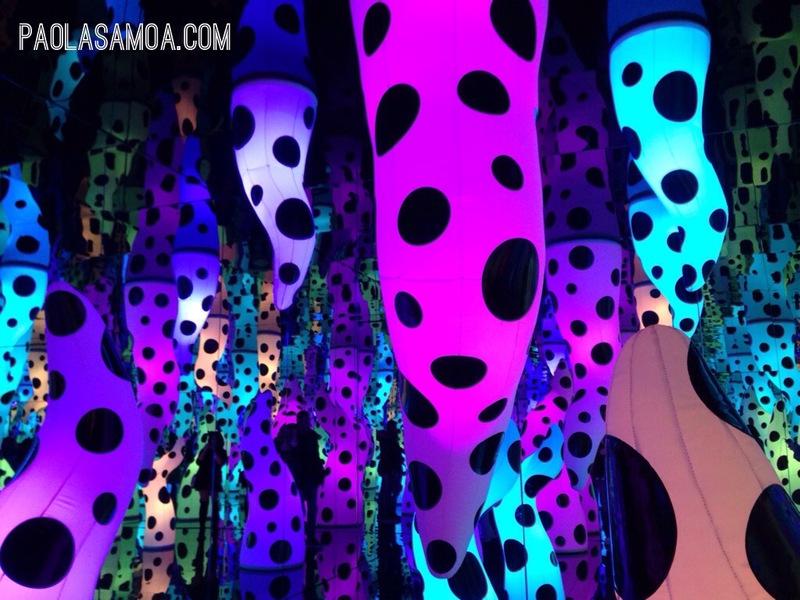 If you’re planning on seeing these in person (especially Yayoi Kusama’s Light Years room) don’t read about her & don’t read about the exhibit at all. Just go. See how you feel when you enter the space. Also, don’t forget to take a selfie. I mean, obvs. 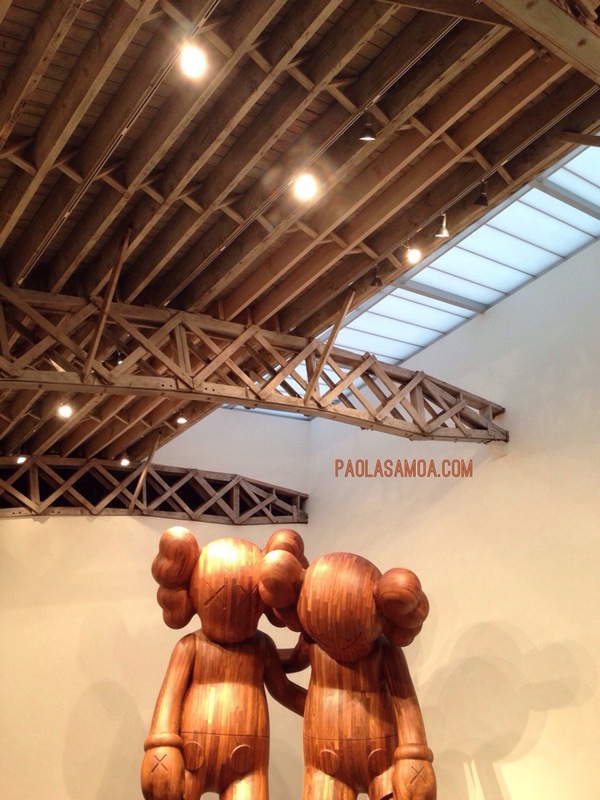 Yayoi Kusama’s installations at David Zwirner, as well as KAWS’ pieces at Mary Boone will both be on display until the 21st of December. → Save me from myself. Subtitled: Why am I so easily distracted? 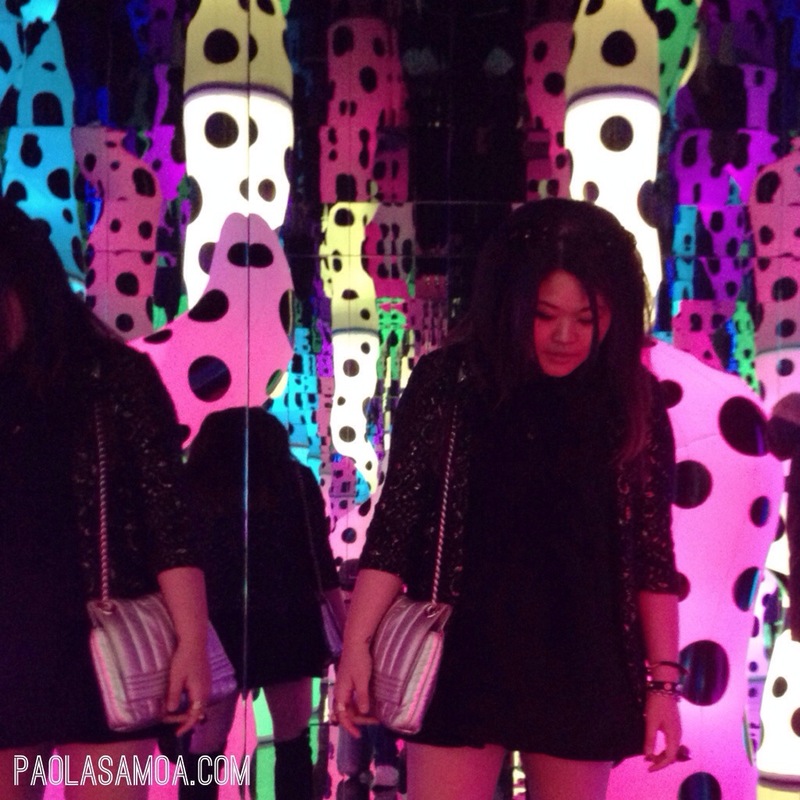 ← That one time I Coveteur’d myself.